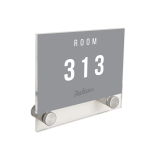 Why buy wall mounted poster holders? 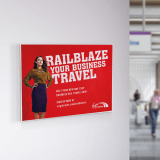 If you're looking for the best way to do justice to your poster displays, health and safety signage or any other form of important messaging, then wall mounting your business posters is a great option. 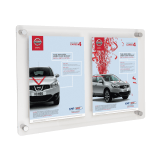 That's why here at UK POS we have a wide range of wall mounted poster holders; so you can find the right solution for displaying your business literature. 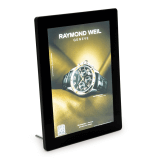 Because these products are so popular with our customers, we always ensure that we have a large range in stock at all times, so you can get your required poster holders as soon as you need them. 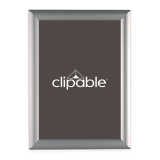 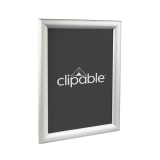 We offer our wall mounted holders in a wide range of materials, including both acrylic, aluminium and PVC options. 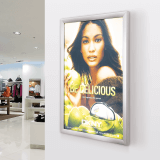 This ensures that you can present your business display posters in a way that best captures the image you are looking to cultivate for your brand, and the posters are kept clean and tidy at all times. 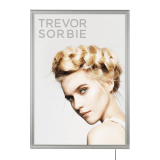 Our sizes start at A7 and go up to A1 including A2, A3 and A4 too, so whether you want to display your business posters in large or small-scale, there is an option available for you. 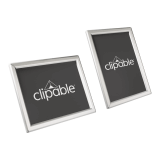 UK POS also offers these products in portrait and landscape options, and there are also a large number of fixing options available. 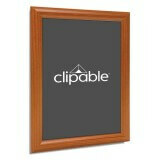 This includes suspension, through to keyhole and acrylic wall mounted poster holders. 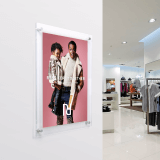 Whether you're creating an impressive window display or wish to present your business literature on the walls of the office, you can rely on UK POS, the nation's leading manufacturer of point of sale display and storage accessories. 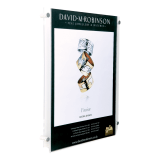 Order your wall mounted poster holders from UK Point of Sale today and see how much you could save.